Non Folding Economy Wheelchair Ramp - Universal. Fabricated from the highest quality anodised aluminium, these ramps are highly durable and strong, yet also lightweight enough to be moved about easily and comply with Health and Safety recommendations. The textured anti-slip surface has a lifetime guarantee, and provides fantastic traction to mobility vehicles and pedestrians alike. Upstanding safety kerbs prevent wheels rolling off the ramp, but are also low enough not to impede ground clearance. These ramps are very easy to install and use, simply position in place with the angled lip of the ramp resting on the threshold and go! 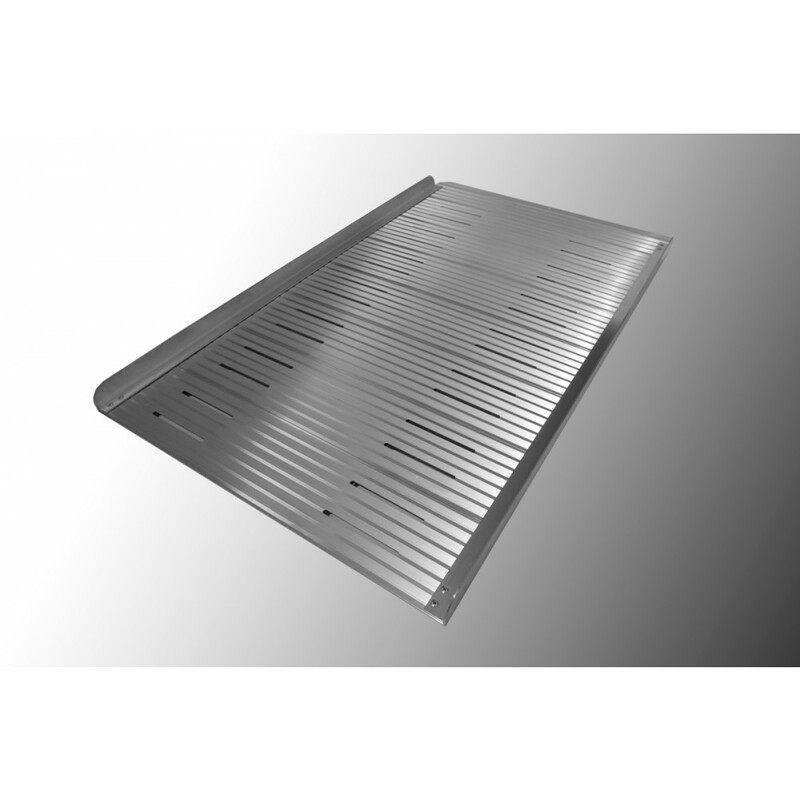 Made from hard wearing durable aluminium, that has been treated to be weather and corrosion resistant. 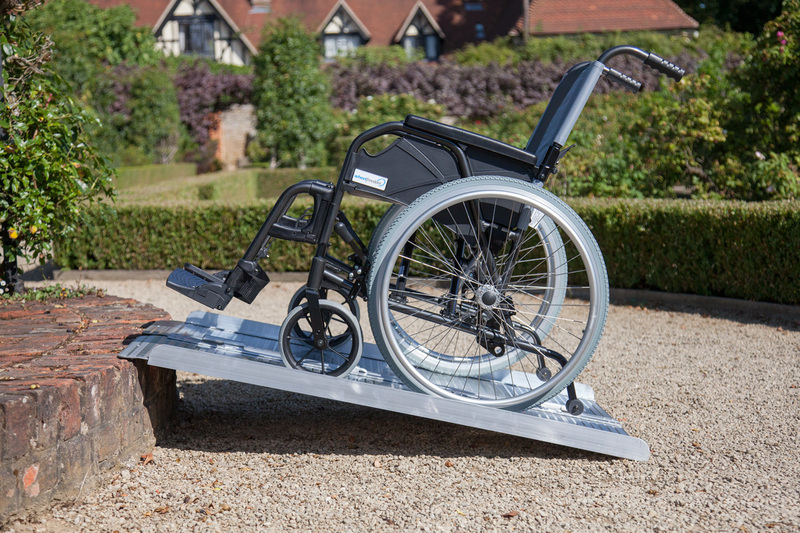 Lightweight and easy to move, with handles on the side to facilitate easy positioning of the ramp. Choose from one of our many size options available – from 610cms (2 feet) up to 1830cms (6 feet) long. 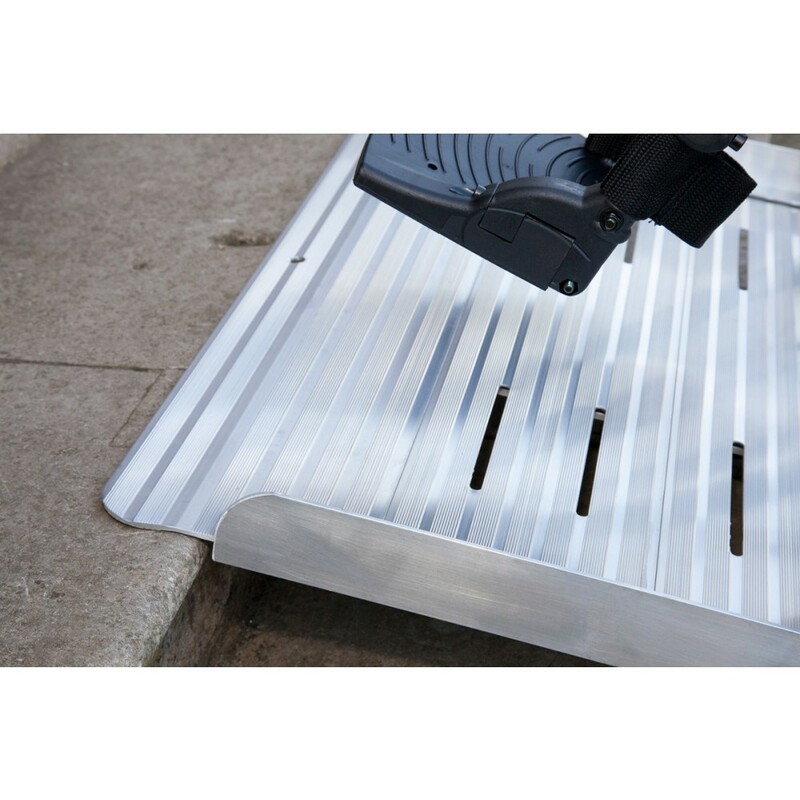 Lifetime warranty on the non-slip surface of these access ramps. DDA and UK Building Regulations compliant. The ramp does not have a lip at both ends. This makes access less easy at one end. The delivery was next day. Communication with Talia was very good. The ramp is sturdy and well made.